Home / Opinion / Retired military official slams Bro. Eddie Villanueva: Do not be political! Retired military official slams Bro. Eddie Villanueva: Do not be political! In a Facebook post, retired military official Abe Purugganan advises Bro. Eddie Villanueva to not be political. This, following Villanueva's remarks against Pres. Rodrigo Duterte on a national news program. Villanueva, an evangelist and president-founder of one of the largest "Christ-centered", "Bible-based", "full-gospel" churches in the world, the Jesus Is Lord Church Worldwide (JILCW), was featured on ANC's Headstart last Wednesday, June 27. It can be recalled that back in 2004 and 2010, Villanueva ran and lost for president. Meanwhile, on the said program hosted by Karen Davila, the JILCW founder reprimanded Duterte's act about 'God' and the Christian belief. 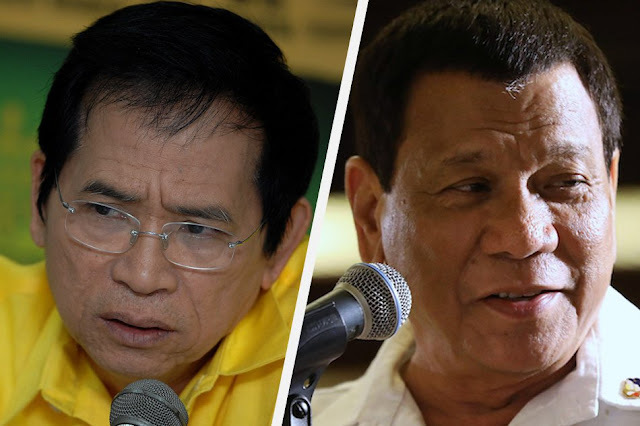 Referring to Duterte’s “stupid” remark, he said the highest leader of the land's controversial statement is “blasphemy in the highest order” that could invite calamities from the heavens against the country. Nevertheless, Villanueva still hopes that the tough-talking president will apologize for such. Posted on Bro. Villanueva's page on Facebook, the letter from PJM (Philippines for Jesus Movement) reads, "In this context, Mr President, the leaders of the different church groups under the PJM ask for a public apology from you – not to us, or any religion. But to publicly apologize to God who – in many instances in the past – you acknowledged you believed in". On the other hand, Purugganan advises Villanueva that he should not be political nor physical, but rather, spiritual. 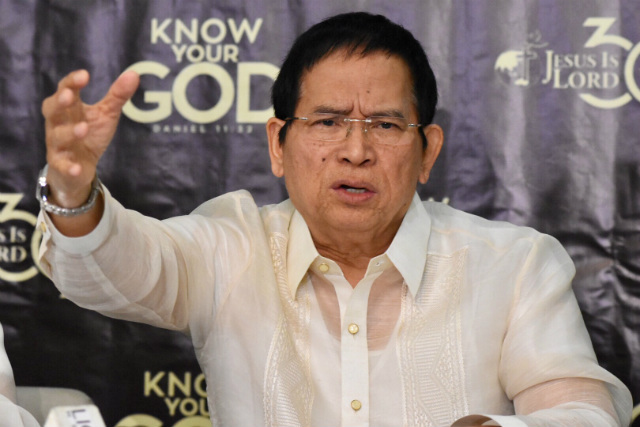 Purugganan also said it is most prudent and wise for Villanueva to lay down his burden to the Lord Jesus rather than coming out of the media to raise his concern. The retired military official also told Villanueva of the things that he can do instead of having an interview on media: "Ask the Holy Spirit on what to do. Intercede for President Duterte. Stand in the gap for him. Usher him to the presence of God as what ministers of God are expected to do. Go to him personally and r3buke him with the spirit of gentleness if that is what the Holy Spirit convicts you to do". I am addressing this to you as a brother in Christ. If there is no peace in your heart on the statements of President Duterte against the teachings of the Catholic Church, it is most prudent and wise to lay down your burden to the Lord Jesus rather than coming out of the media to raise your concern. If you are convicted to do something for him, do not be political nor physical but be spiritual. Ask the Holy Spirit on what to do. Intercede for President Duterte. Stand in the gap for him. Usher him to the presence of God as what ministers of God are expected to do. Go to him personally and r3buke him with the spirit of gentleness if that is what the Holy Spirit convicts you to do. But do not c0nd3mn or judge him but be a shepherd like the Lord Jesus. Remember our Lord Jesus never c0nd3mned, He came to save. I also ask you to r3buke and intercede mightily for the leaders of the Catholic church that they may truly follow our Lord Jesus, and that they cast away their idols, lies, deceit, lawlessness, unrighteousness, and wicked ways that defile the temple of the living God. I also ask you to intercede mightily for the country, that the Lord Jesus will deliver the nation from idolatry, lawlessness, wickedness, witchcraft, rebellion, pride and arrogance, poverty, lies, and greed; that righteousness may cover our people; and that a revival may come to our land. And pray for yourself and other ministers of God that you do not add to the confusion about the TRUTH and not to make believers of Jesus stumble in their faith. May the Lord strengthen you and give you discernment on what to do. Be blessed Bro. Eddie.